So, like many Disney fans, my family was very excited when it was announced that Disney Interactive Studios would be putting a Lego Wii adventure based on the Pirates of the Caribbean movies. We love the Lego Wii games and couldn't wait to get the game. Well- consider this your warning. DO NOT BUY THIS GAME!!! It's a known issue that many of the Lego games have some bugs in them while you play. But this game takes it to a new extreme. In this game, there are 4 "movies", based on each of the four released Pirates movies (um- duh). Each movie has 5 stories that you play through. Our problems started on Story 1, chapter 2. We got about 75% of the way through the story, and our Wii console froze. It also began emitting a high-pitched sound (which the cat did NOT like). We couldn't get it to do anything for us and we had to turn off the entire console and turn it back on. So we booted the game again, started the story again, and guess what... Yep- it froze in the same exact spot. So, after doing this 3 times, we thought it might be the disc. We took the disc back to Target, explained the issue, and came home with a new disc. And guess what- same thing!!! At this point, I called the technical support number for Disney Interactive Studios. They said that we had a corrupted save file. We could try playing past with only one person (we had been playing with two people) or breaking less objects, but our best bet was to delete the file and start over. And so we did. We deleted the save file and started the entire game over. After we did this, we had a couple of other freeze issues, but after restarting the console, we were able to move past the spot without an issue. UNTIL... we got to story 4, chapter 5. Yes- the last story of the game. And guess what- it happened again. The console froze- and even after restarting, three times, the game continued to freeze in the same spot. So- we placed another call to Disney Interactive Studios. They told us that this is a known issue and there is no current fix other than to delete the save file and start over. We are 40% finished with the game- and with a 7 year old playing, that is no small accomplishment. And now we have to delete the file and start over. They did tell us that if we didn't want to keep the game, we could exchange it for another Disney Wii title. But that's not what we want. The whole family enjoys playing the Lego Wii games, and we want to be able to play the game. But we can't... 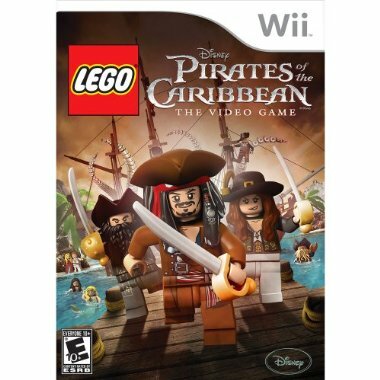 So, until Disney fixes the issue, I recommend to everyone that they avoid buying Lego Wii Pirates of the Caribbean. I hate saying this, but there are just too many bugs and glitches in the game right now. It's my blog, I can say what I want! People never cease to make me shake my head in wonder. And I mean this in both good ways and bad. In the couple of days, I have seen some behavior from people (adults, mind you), that just leaves me speechless. I'm not getting into who did what, but it was classless and tacky. And they then tried to cover up what they did and back pedal. However, in the last week, I have also seen some amazing friendships that- well, let's be honest- makes me wish I had friends like these friends. The way that people are there for each other and interact with each other is just fun for me to see. I've also witnessed people who 100% stand by their beliefs, feelings, and convictions. Whether or not I agree with what they say, I applaud them.